responsible for Alpha Kappa Psi’s governance and strategic planning. Candidates for Directors shall be nominated (1) in writing by eight (8) members in good standing of the Fraternity, (2) in writing by three (3) members of the Management Team, or (3) by any member of the Board of Directors. All nominations must be received by January 15 of the year in which the election is to take place. Nominations must be accepted by February 15 of the year in which the election is to take place, and all resumes must be submitted by February 28. Nominations may be emailed to ceo@akpsi.org for verification. View the fraternity’s strategic plan. 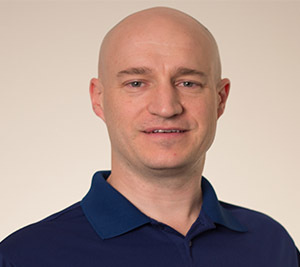 John graduated with a degree in International Business from Boise State University in 1998. He was initiated in 1995 by the Theta Omicron Chapter. He served as vice president of membership and president and later as a chapter advisor. In 2000, John received a commission as an officer in the US Navy as a Supply Officer. Following a successful tour as a Supply Department Head he was selected to serve at Naval Reactors Headquarters in 2003. 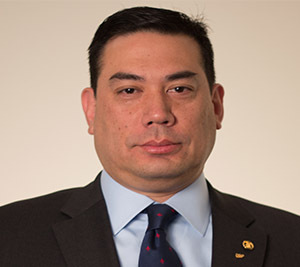 Now a federal employee, his current responsibilities include serving as the Lead Business Manager for Aircraft Carrier procurement, repair, and inactivation. John received his MBA in 2007 from the University of Maryland, Smith School of Business. 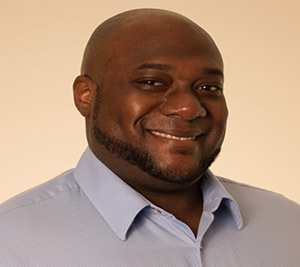 A successful entrepreneur, in 2007, he started Patriotic AdVANtures, LLC, one of the fastest growing vanpool commuting service providers in the DC area. His outside interests include most sports, real estate, and entrepreneurship. Eileen is a graduate of the University of Wisconsin – Milwaukee, holding a Master in Tax. Eileen is the Director of Tax at Powell Industries Inc., an international electrical power equipment manufacturer headquartered in Houston, Texas. Prior to that, she spent six years with Paradigm, an international oil and gas software company starting as the VP of Tax and moving into the CFO position. Eileen spent the major part of her career, over 22 years, with Schlumberger, an international oilfield service company, holding numerous tax positions in the US, Singapore and the UK. She began her tax career in Milwaukee at Arthur Young and Company. She joined Alpha Kappa Psi’s Delta Phi chapter at UWM in 1978 and eventually became it first female chapter president. She joined the AKY Foundation Board in 1987 where she became its first female president. 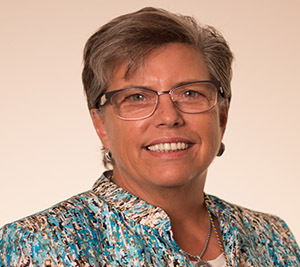 Eileen was elected to the Fraternity Board of Directors in 2001 and served as Chairman of the Board during 2005 and 2006. She is a proud recipient of the Silver Distinguished Service Award and the Gold Distinguished Services Award, the highest honor bestowed on a member by the fraternity. Eileen currently resides in Missouri City, Texas with her husband. She is a fan of golf, college football but most of all, JJ Watt. 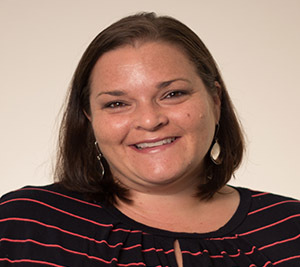 Chrissy is executive director of Back on My Feet Indianapolis; a non-profit that addresses the social and emotional side of homelessness by utilizing a running program to build confidence and discipline to help members work toward self-sufficiency in housing and employment. Chrissy has experience in non-profit management and fund development and is a Certified Fundraising Executive (CFRE). Chrissy has a BS in marketing from Arizona State University and an MBA in marketing from Indiana University. Chrissy was initiated in 1998 by the Iota Xi Chapter at Arizona State University, the same chapter her dad was a founding father of in 1972. She served in many executive positions including president and MOR, and was bestowed the DSA-Bronze first and second degrees prior to graduation. She received the DSA-Silver in 2011. Chrissy joined the Heritage Center staff as an expansion coordinator and was promoted to director of member development. She ended her staff career as director of chapter services and risk management. Chrissy is passionate about triathlon and has completed several 70.3 races and one 140.6 race. She loves music, running, golf, home improvement projects and volunteering. She serves on the board of the Association of Fundraising Professionals, delivers Meals on Wheels and was published in Business Horizons Journal, which was then printed as a business case by Harvard Business Review. Nancy is a Senior Brand Manager for McGraw-Hill Higher Education which improves education outcomes around the world by applying the science of learning to create innovative solutions. Nancy has spent the majority of her career in the education field. In her current role, she manages the Communications list. 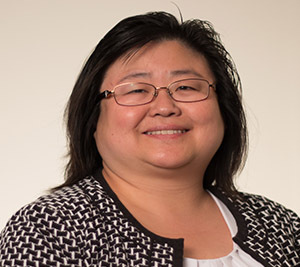 Nancy is responsible for the overall P&L of her titles, understanding market needs, developing products that meet market needs, and identifying potential subject matter experts and authors to work with her team in developing products. Nancy was initiated in 1989 by the Alpha Xi Chapter at the University of Iowa. She served in a variety of positions as a student and as an volunteer alumna. She received the Silver Distinguished Service Award in 2003. Richard Battle was a past president of the Iota chapter and a member of the chairman’s advisory committee. He is currently the vice president at Keytrak. He is a speaker and the author of three books including: The Volunteer Handbook: How to Organize and Manage a Successful Organization, The Four Letter Word that Builds Character, and Surviving Grief by God’s Grace. Richard has served several volunteer organizations and most notably led the Austin Jaycees to the Outstanding Local chapter in the United State and was personally recognized by Jaycees International as the Outstanding Local President in the world. Naneen was initiated in 2005 by the Gamma Pi Chapter at Seton Hall University, where he graduated with degrees in marketing and finance. He also received his master in business administration from Excelsior College. As an undergraduate, he served the Gamma Pi Chapter as vice president of alumni relations, treasurer, and inter-chapter relations. Naneen has served Alpha Kappa Psi starting in various volunteer roles including chapter advisor, section director, and most recently as regional director. Naneen works at Prudential Financial, within public fixed income under the portfolio administration group. 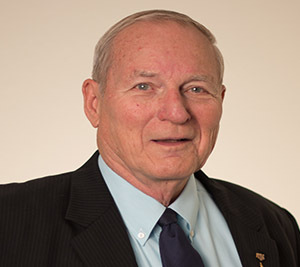 Dr. Callarman (aka Dr. C) joined the fraternity in 1962 at West Texas State University (WTSU, now West Texas A&M University) and, through ROTC, was commissioned as a 2nd Lt in the United States Army. He received an educational deferment from the military to pursue his MBA and Ph.D. at Arizona State University. Following the Ph.D. program Dr. C served 18 months on active duty exiting as a Captain. He immediately joined the faculty at Florida Technological University (now the University of Central Florida in January, 1972). In 1992, Dr. C became the Faculty Advisor for Nu Chi chapter (a position he still holds even though he officially retired in 2005 – designated an Associate Professor Emeritus). 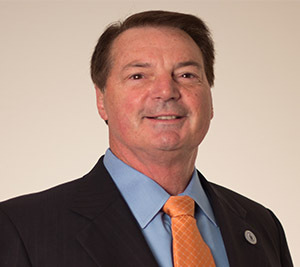 Prior to his election to the Board of Directors, Dr. C served as Central Florida Sectional Director for two years. His father, who was Dean of the School of Business at WTSU, was also AKPsi. His youngest brother Tom, who is on the faculty at the China European International Business School in Shanghai, is also Alpha Kappa Psi. Dr. C was awarded the Silver Distinguished Award – Second Degree in 2009. His daughter and two granddaughters live in Myrtle Beach, SC and his son lives in the Orlando area. In addition to AKPsi, Dr. C serves on two other boards, coaches two youth soccer teams, is a youth counselor for the middle and high school youth of his church, and is an avid reader of at least two novels a week. Dan has held the position of Corporate Controller for Pinnacle Financial Partners, an $8.5 billion bank holding company, since March 2003. Headquartered in Nashville, Tennessee, Pinnacle primarily focuses its efforts in all four of the large urban markets in Tennessee – Nashville, Knoxville, Chattanooga, and Memphis. Pinnacle’s strategy is to provide superior service and advice to small and medium sized businesses, Commercial and Commercial Real Estate sectors, and the affluent, wealth management retail sector. As a member of the firm’s Leadership Team, Dan’s primary areas of responsibility include Asset/Liability Management, Strategic Planning, Corporate Budgeting, Corporate Forecasting, and the firm’s Investment Portfolio. In 1989, Dan was initiated into the fraternity by the Zeta Psi Chapter at Middle Tennessee State University where he received a BS degree in Accounting. As a volunteer, he has held various positions such as chapter advisor, section director, regional director, and fraternity president. Dan has received the Chairman’s Award and the Silver Distinguished Service Awards First and Second degree. He is married to Barbara and has one daughter Elizabeth and together they live in Brentwood, Tennessee. 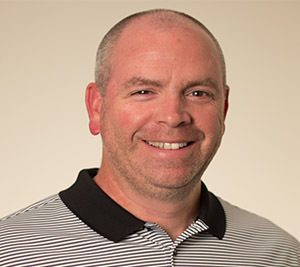 Dan enjoys traveling, golf, and the outdoors and is an avid cyclist, hiker, and racquetball player. Alexander joined Alpha Kappa Psi at San Diego State University in the Fall of 1993. 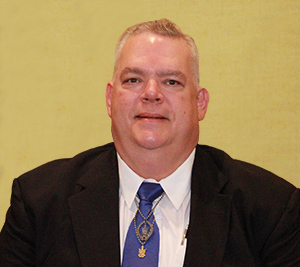 He held various positions within his chapter and is a former Regional Director of the Southwest Region and past Executive Vice President. Currently, Alexander serves as the Fraternity President. His present employment is with KPMG LLP, an international accounting and consulting firm and is based out of the Washington, D.C. office. Prior to KPMG, Alexander worked for Booz Allen Hamilton, an international management and technology consulting firm until April 2008. He also was a former part-time faculty member at San Diego State University where he taught in their undergraduate and graduate Information Decision Systems department. He graduated from London Business School with his MBA in 2007 with an emphasis in strategy and emerging markets.